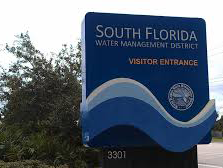 As a member of the team at the South Florida Water Management District, you will play an important role in preserving and restoring the vital natural environment that extends from Central Florida's Upper Chain of Lakes through the Kissimmee River and Lake Okeechobee and south to the Florida Keys. Working with us is about managing the water resources of this rare environment. Our working environment is about providing a smooth workflow for our employees, with challenging projects, benefits that provide balance and opportunities for professional development.